On Tuesday, December 11, at 8 PM Central, J. Mark Lowe, CG, will present, Ready-Set-Plan! Developing a Research Plan. In this webinar, you will learn how create a research plan to help you stay focused on your research tasks and better manage your research projects. To attend this webinar, register at https://www3.gotomeeting.com/register/226300078. Last week's webinar, Sidestep Genealogy, presented by George G. Morgan, is now available to ISGS members in the Members Section of the ISGS website (http://ilgensoc.org/members.php). Registration will be available in mid-December. At that time, you can register by going to the ISGS webinar page at our website at http://ilgensoc.org/cpage.php?pt=234. 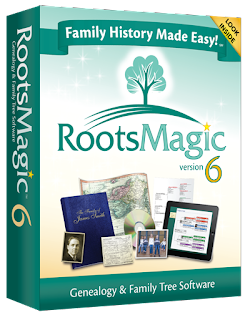 Join us for a tour of RootsMagic 6, the latest version of the award-winning genealogy software which makes researching, organizing, and sharing your family history easy and enjoyable. Learn about new features like Online Publishing, Find Everywhere, WebTags, CountyCheck Explorer, the new Editable Timeline View, and more! Space is limited to the first 1000 attendees. Reserve your spot today! Heritage Collector "Boot Camp". No push ups or jogging will be required or permitted. Free 2013 photo calendar template for all attendees! Learn what's new in version 7.3 (to be released Monday). Updates are free if you have version 7.0, 7.1 or 7.2. Come learn the basics if you are just getting started with your Heritage Collector or maybe you need a little refresher. Learn some new ways to share and get more help from your children and relatives. Get others started with our new free Standard version. Come with your questions. This webinar will be presented two times making it easier for you to attend. •Get the free 7.3 update for 7.0 - 72 versions. The Georgia Genealogical Society is pleased to sponsor the presentation Show Don't Tell: Creating Interactive Family Histories" with Lisa Alzo on November 19th, 2012. 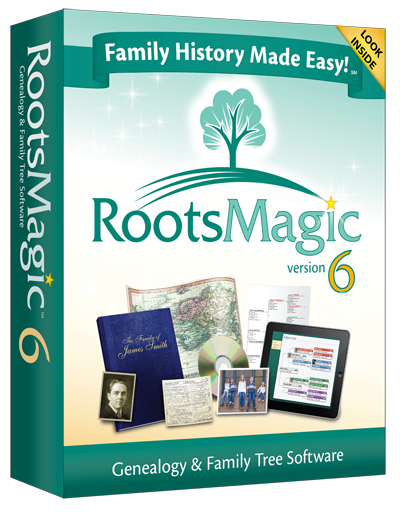 Summary: Learn how to bring your ancestors to life using online tools to create interactive families histories. Presenter: Lisa Alzo earned a B.S. at West Virginia Wesleyan College and a M.F.A. from the University of Pittsburgh. Lisa began writing creatively in the fourth grade and continues to do so. She has authored nine books and has had articles published in a multitude of genealogical and historical periodicals. about joining the Webinar. You will use your unique URL in your confirmation email to logon to the live broadcast on the 19th of November. Join us this Friday for a free webinar, 10 Ideas for Great Gifts Using Your Family Photos presented by Thomas MacEntee and Flip-Pal's Diane Miller. Webinar Description. Once a precious family photo is scanned using the Flip- Pal mobile scanner (or any other scanner), you can do more than just send the image to friends & family and add to your family tree. We will quickly cover how to scan an original, then print for use in gift projects. A few of the ideas we will share using these prints: ornaments, sweat shirts, quilts, wall hangings, holiday decoration and more. This seminar will be packed with ideas and step by step how-to details from these two creative individuals. We’ll also cover how you can use various sites such as Zazzle, Café Press and even superstore sites such as Costco, Walmart, and Walgreens to create calendars and photo books as gifts. Join us for the live webinar on Friday, November 16, 2012 at 2pm Eastern U.S. Register today to reserve your virtual seat. Registration is free but space is limited to the first 1,000 people to join that day. Before joining, please visit www.java.com to ensure you have the latest version of Java which our webinar software requires. When you join, if you receive a message that the webinar is full, you know we've reached the 1,000 limit, so we invite you to view the recording which should be published to the webinar archives within an hour or two of the event's conclusion. If you could not make it to the live event or just want to watch it again, the 1 hour 24 minute recording of Genealogy for Novices: Where Do We Begin? is now available to view in our webinar archives for a limited time. Visit www.LegacyFamilyTree.com/webinars.asp to watch. Own your own copy of Genealogy for Novices: Where Do We Begin? by purchasing the webinar-on-CD for just $9.95. It includes the complete 1 hour 24 minute recording of the class, and 4 pages of handouts. Click here for more information or to purchase. The special discount coupon of linda that was announced during the webinar is valid for 10% off anything in our online store through Monday, November 19, 2012. 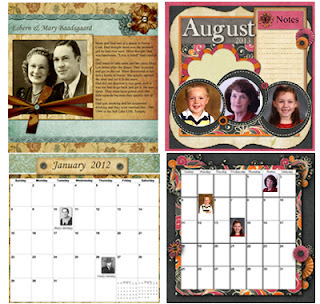 10 Ideas for Great Gifts Using Your Family Photos with Thomas MacEntee and Diane Miller. November 16. Free and in the archives now! Santa Barbara Genealogical Society http://sbgen.org . Web design made easy using www.EasyNetSites.com. County and state history books published the end of the 19th century into the early 20th century such as the one for Washington state Ol’ Myrt just discovered at WorldVitalRecords.com. Navigating scanned images of books includes all pages inside the cover, even if they are blank, so Myrt offers a tip for ease of navigation. Association of Professional Genealogists www.APGen.org, specifically the Second Life Chapter. Ellen describes a problem with Legacy Family Tree on an iMac, later resolved and reported DearMYRTLE’s Blog post titled Legacy works fine on iMac with Parallels. Lightening Round: What have you done to honor your family’s military servicemen and women?